Here it is...a true Do-It-Yourself remote start kit for select 2013-2017 Ford Fusion - Key-to-Start. This kit includes the new Fortin EVO-ALL data module & and Ford T-harness kit.. We have made this a pre-wire kit as all pre connections have been made. There are only 2 connections that need to be made in to the vehicle for the remote start to function. Our detailed instructions clearly show exactly where to find those wires in the vehicle. A few OPTIONAL features such as door pin and hood pin switch will require additional, but simple connections. REMOTE START PACKAGE OVERVIEW - This is a complete remote starter kit for 2013-2017 Ford Fusion - Key-to-Start. 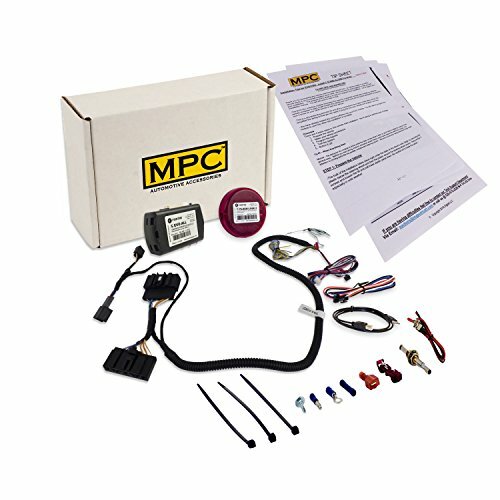 The kit includes an all-in-one remote start bypass module, T-harness to simplify connections, Flash Link Updater for setting compatibility and all parts required for installation. Compatible with automatic transmission vehicles only. REMOTE START FEATURES - This is an Add-on remote start system for vehicles with existing keyless entry. Use your existing remotes to start the car by pressing the Lock button three times. No need to carry extra key fobs! When you are ready to drive, just put your key in the ignition and go! Smartphone module ready. Complete kit includes bypass module and all parts required for installation. AVAILABLE OPTIONS (at additional cost) - Nationwide professional installation, Smartphone control module. SEMI PLUG & PLAY INSTALLATION TYPE - This kit uses a wiring T-Harness which dramatically reduces number of wiring connections that typical systems require. The installation of this product will still require up to 2 wiring connections depending on how you want to configure the system. We provide concise directions with wire colors and locations. A person with basic knowledge of wiring car electronics should be able to install this product successfully. MPC TECHNICAL SUPPORT - A link will be provided to download MPC's exclusive copyrighted step-by-step installation tip sheet and custom wire chart made by MPC's professional technicians to help you through the installation process. In addition, we offer free USA technical support by phone or email, Monday through Friday between 9am to 5pm Arizona time. If you have any questions about this product by MPC, contact us by completing and submitting the form below. If you are looking for a specif part number, please include it with your message.